For Hulme, climate change is not only a phenomenon happening on the surface of the earth. It is also a global cultural experience, eliciting artistic, musical, novelistic, and spiritual responses alongside economic and political ones. Hulme’s interest in geography, and specifically in the interface between living human societies and their climate ecosystems, separates his work from that of other climate scientists. His research and writing explore how shifting weather patterns affect regional human social arrangements, structures, and identities. 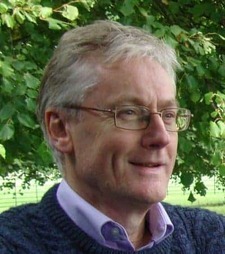 Hulme is presently a professor of human geography and Fellow of Pembroke College, University of Cambridge. Previously, as founding director of the Tyndall Centre for Climate Change Research at the University of East Anglia, he was a member of the Intergovernmental Panel on Climate Change that received the Nobel Peace Prize.